Dan Kepley, 46 passed away at his home on January 30, 2019. Visitation will be on Saturday, February 9, 2019 from 10-11 am at St Andrew’s Lutheran Church, 13600 Technology Drive, Eden Prairie, MN with the celebration of life service to follow at 11:00 am. 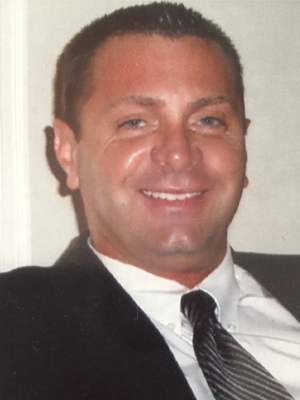 Daniel Jay Kepley age 46 of Eden Prairie Minnesota formerly of Charlotte, NC passed away on January 30, 2019. Frank Moose, Grandfather and Margie Moose, Grandmother. He is survived by his mother Angela Kepley Thompson and stepfather Tim Thompson of Kings Mountain, NC. He is also survived by his father Paul Daniel Moose of Anderson SC. Daniel leaves two children Ava Margaret and Davis Frank of Cranbury Township PA. He is also survived by brother Jason Paul Moose, wife Donna, and son Derek of Stanley, NC. Daniel also is survived by his a grandmother Helen Kepley age 93 of Charlotte NC he dearly loved. Daniel also had two stepbrothers Tim Thompson Jr and Bryan Thompson. Daniel had special uncles, Bruce Kepley, Steve Kepley and Brian Kepley along with cousins he loved dearly. Daniel met his soul mate for life Katie Downing in Eden Prairie whom he loved with all his heart. They were planning marriage. He shared a wonderful life, family and home with Katie and her three children, Mia, Evan and Sophia Hood. Mike and Pam Downing , Katie’s parents were a wonderful family to him. Danny enjoyed spending time with Katie’s brother John, his wife Meryl and children William and Genevieve Downing. Daniel serviced in law enforcement and was a Sherriff’s deputy when he was 21 years of age. He later joined the Charlotte NC Airport Police with his last assignment a police officer with the the Huntersville NC Police Department. “Dan” later attended UNCC and Montreat College getting a degree in business and accounting that led him to pursue a career in banking. He worked for Wells Fargo in Charlotte NC then transferred with the bank to Minnesota. During his banking careers he was Director of Information Technology particularly in the Financial Sector. Daniel’s passion was “life” enjoying all that he could, sharing a laugh and a smile. He will be forever in our memories and heart. “Danny” will live forever through his children Ava and Davis and hearts that loved him. I am shocked by this incredibly sad news! I have great memories of him and will cherish them. He was way too young to leave this earth. My heart goes out to his family and friends, especially his children. I hope he is finally at peace.